No more snowboarding. 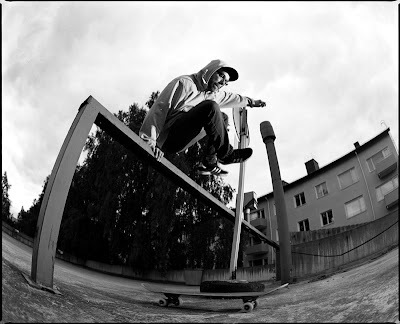 Here you have some fisheye-flashlight-skateboarding. Mr. Jussi, 2010.